One of the biggest deterrents to creative writing is the presence of your internal editor. She—or he—loves to interfere with your thought process by pointing out mistakes, typos, missing commas, or errors in your thought process. "But," you say, "surely this is important? I don't want to produce inferior work." No, you don't. But the time for editing will come later, once you've finished writing the article or chapter. If you stop to listen to all the suggested corrections of your internal editor, your work will lack creativity and flow and may never get finished. Sometimes it can be as simple as playing music or wearing headphones. Other times you need to be far more drastic. Acknowledge the presence of your inner editor, then deal with her/him. Karen Swim at Words for Hire banishes her inner critic by "physically kicking her out of the room and locking the door. I have found that acknowledging her presence and ordering her to leave is as effective as it would be on a “real” person. She is only allowed back in when I have written the first draft, and then and only then she gets to have her say." For me, I admit it all depends on how persistent she is. Sometimes I can be firm. "Go away! I'm busy writing!" And no, I'm not polite like Cec. Other times I do what every parent knows you shouldn't do, and say, "Oh for goodness sake here!" and give in to her. What about you? How do you deal with this nuisance who tries to correct you as you write? Please share with us by adding a comment below. SHIRLEY CORDER lives in South Africa with her husband Rob, a hyperactive budgie called Sparky, and an ever expanding family of tropical fish. Hundreds of her inspirational and life-enrichment articles have been published internationally. She is contributing author to nine books to date and her book, Strength Renewed: Meditations for your Journey through Breast Cancer is available now for pre-order at Amazon.com or at Barnes & Noble (B&N.com). 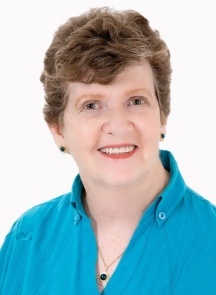 You can contact Shirley through her writing website, her Rise and Soar site for encouraging those on the cancer journey, or follow her on Twitter. Terrific article. Yes, the internal critic can certainly wafted one's writing. I try my best to ignore and write my first drafts in long hand away from the computer, spell check, and Internet so I'm not tempted to edit with additional research or spell checking along the away. Great post, I struggle with my inner critic every time I write. Thanks for sharing. Thanks Donna and Terri. Donna, I'm impressed that you write longhand. If I did that I wouldn't be published, because I'd never be able to read it back! Well done! 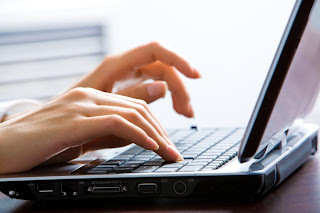 When I first started out as a writer I used to write everything longhand, but as my typing skills improved, I found I could type much faster than I wrote. Sign of the times I suspect. I let my inner critic play with the spellchecked words on a first draft. That keeps her occupied while I get on with the rest of the story. Okay.... that's different. And yes, I also type faster than I can write - with the added factor that I can read back what I've typed! Shirley, you're so right - that inner editor can be a best friend, later, but if she comes into play at the start or drafting part of a project, the result is often serious writers block. I like the polite approach though. Don't want to banish her altogether - just to put her on hold. I tell my students I see that inner editor as an angel sitting on one shoulder and a little devil sitting on the other. The angel is saying "This is really good stuff! Way to go, girl!" The devil is saying, "Ha! What makes you think YOU can write--you can't even spell. That sentence isn't grammatical! Who is going to read such drivel?" So you need to kick the devil out and let the angel encourage you while you give yourself permission to write a crappy first draft! :)Good post, Shirley! Great Post. I love the idea of lock your inner critic out of the room until you are ready to edit. I believe the inner critic has no place in a first draft. Hi Magdalena, Heidi and Mary Jo. Thanks for your comments. So we're all in agreement. One way or the other, the internal (should that be infernal?) editor has to be muzzled--until we need her. Then, yes, she has an important role to play. So we must be certain not to hurt her feelings as we tell her to "go play elsewhere". I love the idea of sending her to play with the spellcheck. Especially as I write in British English and usually have to convert to US before publication. My inner critic is a problem for me - I'm working on it though. I like the idea of actually kicking her out. I love the way Cec Murphey deals with her - guess it's a him in Cec's case. Politely but firmly. I guess then when she starts again you can say, "Are you back? I told you to go." Topical article as always, Shirley. My internal editor and I are for the moment (hope this is not tempting fate)working in tandem. She insists on editing spelling punctuation and typos and that gives me a breather before cracking on with the content.